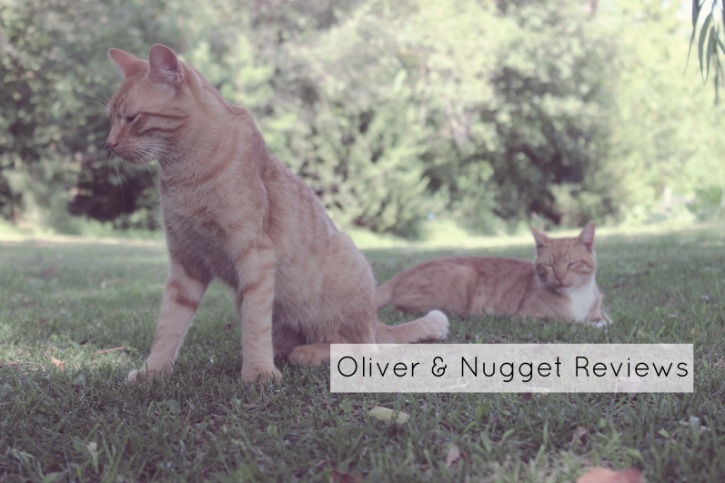 Oliver & Nugget Reviews: Wellness Healthy Indulgence Morsels in Chicken & Turkey | Chelsea B.
Oliver and Nugget here! 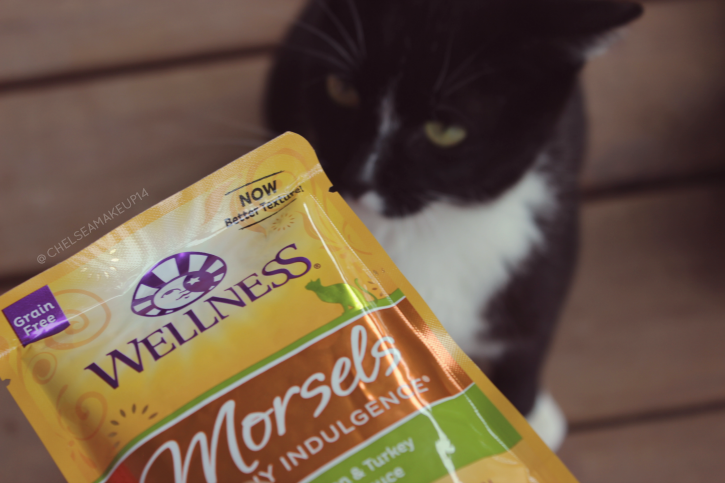 We're back today with a review of the Wellness Healthy Indulgence Morsels in chicken and turkey flavor. Before we get into this review, we just want to apologize for the fact that this review is late. So let's just jump right into this review! 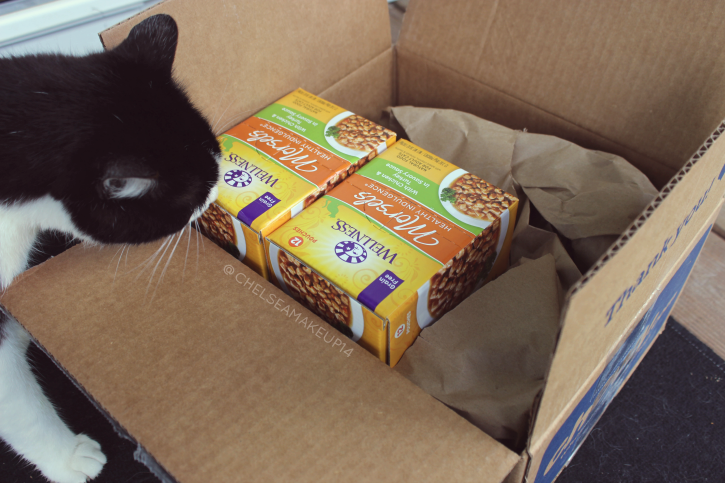 This cat food comes in pouches, 3oz pouches to be exact. 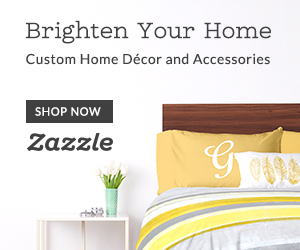 We've tried other products by the Wellness brand before, and Mom LOVES this brand! It's grain free. There's no wheat, wheat gluten, corn, soy, or artificial colors and flavors. This food provides essential vitamins and minerals. It has cranberries and blueberries which helps your cats urinary tract. Sweet potatoes and carrots provide natural antioxidants. It has omega 3 fatty acids which is great for skin and fur health. We can keep going on and on with healthy facts. That's how amazing this food is! As you guys have probably noticed from past reviews that we've done, we're not picky when it comes to food. We basically had this just about ate before Mom could even get any decent pictures of us eating! By how fast we ate this food, you guys can tell that we LOVED it!